Are you looking to improve the performance of your chiropractic website, but don’t know where to start? If you don’t feel like your chiropractic website is producing new patients, it may be wise to start looking at your site’s on-page SEO. In this post, we’ll discuss on-page SEO and provide three easy tips for improving it today. So, what is on-page chiropractic SEO? 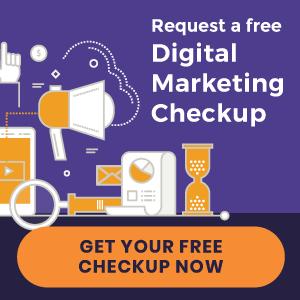 SEO, or Search Engine Optimization, is a critical component of any successful chiropractic website and involves implementing strategies to help your site appear higher in search rankings. Applying white-hat SEO techniques (procedures that follow the rules and policies set by search engines) to each page of your practice’s site is known as on-page SEO. So what’s the difference between the two? A title tag is the clickable headline of your webpage that’s shown to users when using a search engine. A meta description is the portion of text displayed underneath the title tag in a search result. For the best opportunity to influence users, meta description copy should be well written and informative. Did you know that saved file names of the images on your website serve as an added bonus that can help to boost your on page SEO? Whenever you upload an image to your website, adjusting the file name to be search engine friendly beforehand takes only a second. If you’re posting a new blog with a photo, it’s common for your computer to auto-generate a name like ‘photo-1.jpeg’ or ‘DSC001234’. Going forward, rename your files before uploading to include an accurate description and target keywords. For example, the title of an image of your exam room could be saved as something like ‘los-angeles-chiropractic-rehab-room.jpeg.’ An SEO friendly file name should generally include no more than 5 words. 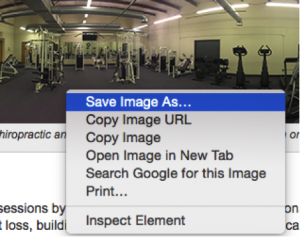 Tip: To see if current images on your site have been optimized, right click any photo and select ‘save image as’ to reveal the file name. If you find images with less than stellar names, this is a great task to give to a tech-savvy member of your staff to work on in his or her spare time. Or, ask your webmaster to improve the file names for you. Finally, making sure your web pages are full of engaging, and orginal content is a must. Search engines love to see new content posted regularly, making the addition of a blogroll a fantastic idea. However, be aware of keyword stuffing–which is adding too many keywords to your content. Not only can this make the information you’re providing sound spammy, but it’s also a red flag for search engines. Strapped for chiropractic blog topics? Don’t be! Consider starting with some of the most frequently asked questions that you hear from your patients. Chances are, people (potential patients) are also searching online for the answers to these questions. Offering a new service or treatment? That will also make an excellent blog post. Interested in Learning More About SEO for Chiropractors? Continue to follow our blog for new posts on improving your website and online presence and generating new patients for your practice. You can also join the conversation on social media by liking us on Facebook. « New Chiropractic Websites Just Launched – ChiroCare of Ft. Lauderdale and more!